The University of Oregon was recently ranked No. 16 on Sierra magazine’s 12th annual Cool Schools list for its performance in sustainability practices, engagement and education. The Cool Schools ranking uses data from the Sustainability Tracking, Assessment and Rating System, or STARS report, created by the Association for the Advancement of Sustainability in Higher Education. It compares 269 schools in the United States and Canada. Sierra magazine uses elements of the STARS report to highlight criteria it feels is important. More percentage points were awarded to things like transportation, fossil fuel divestment, student engagement and campus energy use, according to the magazine. Eligible schools include any four-year, undergraduate institution as well as two-year community colleges that have completed a STARS assessment within the last two years. This was the first time two-year community colleges were allowed to enter. As a result, this year the magazine saw its largest number of applicants ever. Recently, the UO’s STARS assessment increased from silver to gold due to a significant increase in sustainability-focused course work as well as an increase in engagement with surrounding communities in Oregon. "Faculty and students from environmental studies, law, business, design, chemistry, journalism, and so many others, are engaging with important sustainability challenges through their research and classes,” Mital said. “Staff are always finding new ways to conserve resources and reduce our impact on the environment. It's nice to be recognized again as a national leader." Over the past two years the UO has introduced hundreds of new courses in various disciplines that engage with sustainably both inside and outside the classroom. However, this year’s ranking is nothing new. This is the third time the UO has ranked in the top 20, placing the UO among company such as Harvard and Cornell universities. 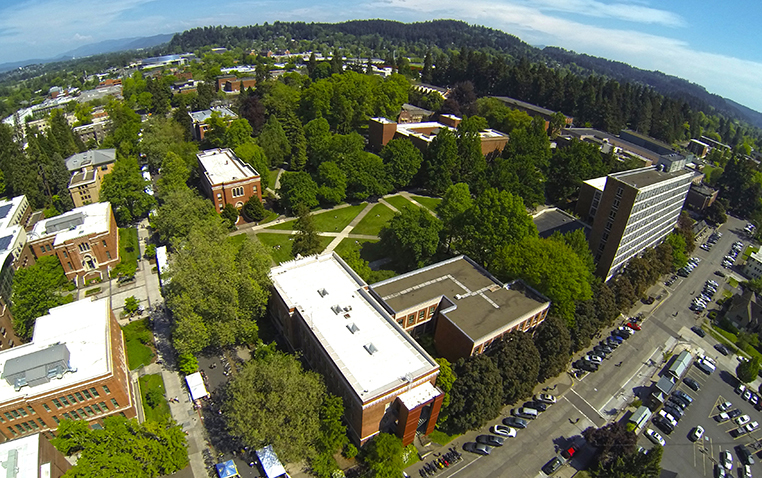 This year’s Cool Schools ranking also places UO with its neighbor to the north, Oregon State University. OSU ranked just one spot above the UO by only 0.40 points, giving Ducks a goal to look torward next year.